Happy MLB Opening Day! 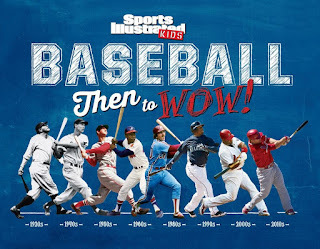 I thought I'd kick the season off right with a review and giveaway of two awesome baseball books from Sports Illustrated Kids—enter the giveaway below! Looking for a simple introduction to baseball? 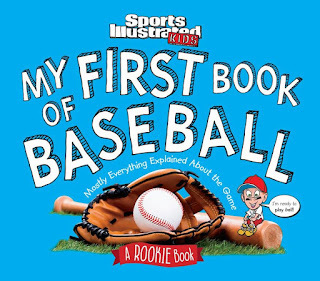 This book coaches young kids through the game of baseball with a visual retelling of an actual MLB game—from the first pitch to the game winning hit! Strikes, outs, steals, foul balls, home runs and more are all explained with actual Sports Illustrated photos and comical illustrated help. Who's going to win?? 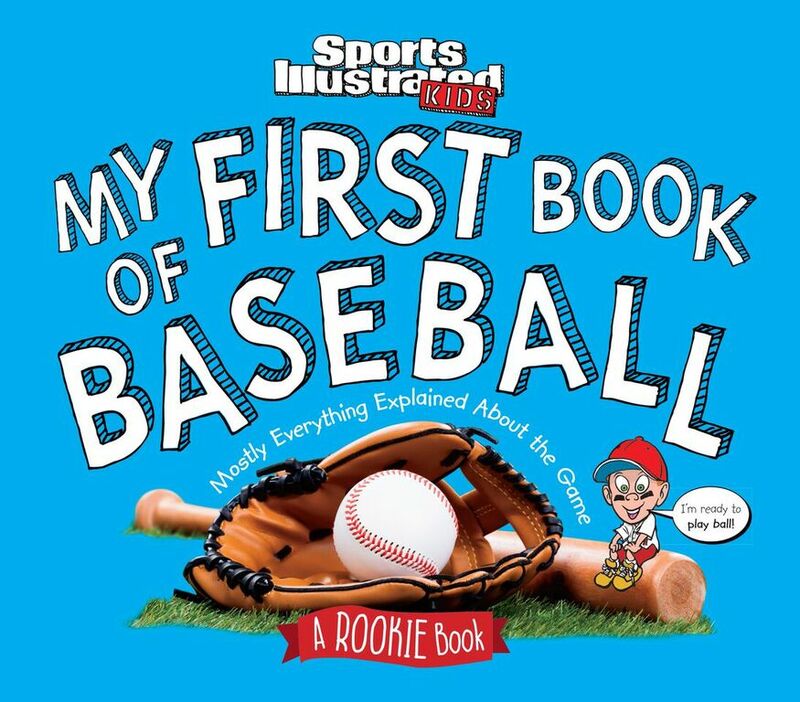 This is a great book for the early, young readers who are just learning the basics of baseball. The format of having the reader go through an actual game is genius; I could really picture this being used in conjunction with a child's first baseball game. It's fun to readaloud adult to child, or—thanks to simple words and big lettering—a book kids can tackle on their own. Now the book is truly basic, touching on vocabulary like striking out, home runs, and the 7th inning stretch. It doesn't get into stuff like batting averages or actual players/teams. It's possible that a child may outgrow it quickly. Also, I do wish that it listed all of the terms learned throughout the book at the end, as a review or glossary. And sometimes, the added thought bubbles, though funny, could be distracting (it's a trade off). Still! For your basic introduction, this book is fun, engaging, and appealing. Definitely recommended! 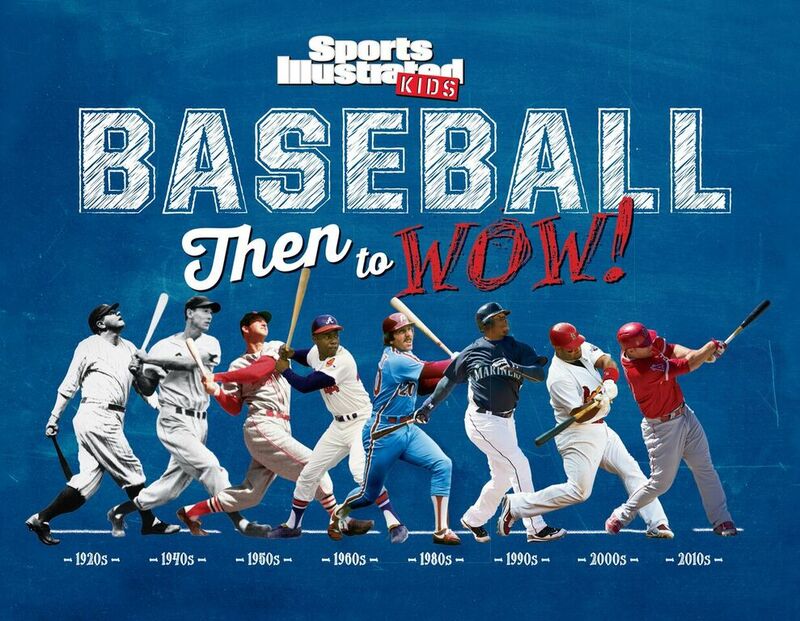 How did baseball evolve to what it is today? Using MLB action photographs, illustrations, stories, and trivia, this book is a journey through time both for baseball fans and those new to the game. Kids will learn about equipment changes, evolution of game strategy, players throughout history, and more. A fun-filled section of the book explores everything fan culture—from the perfect ballpark frank to the importance of baseball cards and video games in popularizing the sport. Also, I LOVED this illustrations. They were not distracting or out of place, but interlaced with actual photos and facts quite seemlessly; it's still fact-filled and informative, but appealing to kids. Definitely well done. Now, do I know the difference between RBIs and batting averages and whatever other stats? No. I do wish that this book had taken the opportunity to do some definitions (a little sidebar or glossary or something). But hey, maybe kids will take that opportunity to do some more research on their own. Basically, this is a fantastic read or reference book to have, baseball lover or not. Definitely check it out.